Hand Drawn Vector Card Template With Lettering Quote Love You,brunch,golden Glitter,painted Scratched Texture In Pastel Pink Round Circle And Geometric Frame.Design For Wedding. Royalty Free Klipartlar, Vektör Çizimler Ve Stok Çizim. Image 118612142. 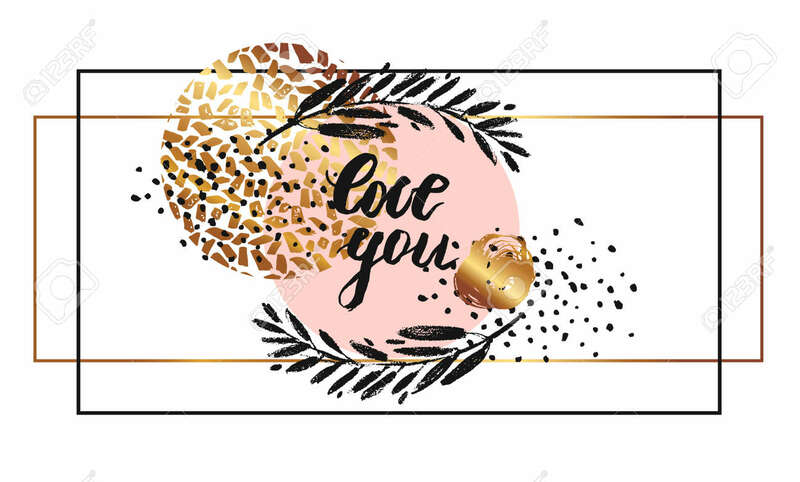 Stok Fotoğraf - Hand drawn vector card template with lettering quote Love you,brunch,golden glitter,painted scratched texture in pastel pink round circle and geometric frame.Design for wedding. Hand drawn vector card template with lettering quote Love you,brunch,golden glitter,painted scratched texture in pastel pink round circle and geometric frame.Design for wedding.